After previously announcing that they entered Hertz Studio on March 10, 2014, Polish Tech Death masters DECAPITATED now send out a first message to their fans. In their statement, the band gives an update about the current working progress, which is focused on the drums now. Stated the band: “It’s been one week now since we came to Hertz Studio. After almost nine years we are here again and it’s pretty cool to see Wieslawski bros again and be in studio where we recorded three albums. 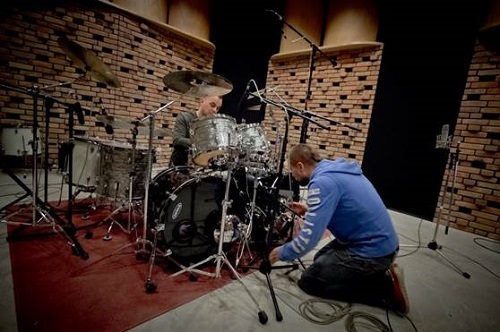 DECAPITATED also just reveled drummer Michal Lysejko as a full-time member of the band in a previous statement. Michal has already joined the foursome in time for their tour with LAMB OF GOD in January.